Maybe you remember these shrubs, that let berries grow with properties of normal ore nuggets. People thought they are gone from this world, but no! They are back! In deep caves, deeper in the hell or high above in the End, there they grow. ..or you just to lazy to go mining. Don't waste time whith mining, sit back and watch them grow! For more details please visit the Minecraft Forum Thread! You can use this mod in any modpacks. Why there is no diamond shrub? I only added some basic shrubs, but you can add it on your own of you want. Look at the forum post for the "how-to". I checked with creative mode and they are not listed either. The mod only adds a shrub if the material is present. If you have no mod installed that brings copper with, then there is no copper shrub. And sorry for the late answer! We keep having random berry bushes die on us! We have them two blocks under the glowstone bushes so they are getting lots of light. What are the exact light requirements for the different bushes? 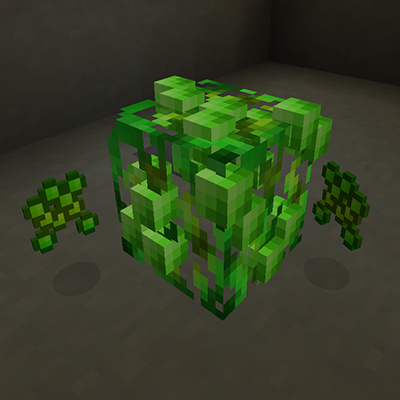 All ore shrubs from the mod itself need a light level below 11 to grow. The random shrub need a light level above 13 to grow. Daylight is enough for them. You can also get informations about the mod from the forum post. That are the berries you can harvest from the ore shrub blocks if they are fully grown. You can craft them to the material out of the shrub is. For example a gold berries can crafted to a gold nugget. If a nugget type of a ore are not avaiable you can craft directly nine berries to a ingot. Hi, any chance that you update it to 1.12.1? Okay, the bags are a nice touch, but I don't get why I'm left with an empty bag which I can't use, has no inventory access to fill it. What am I missing? What's the use or the point of the empty bags? I believe you can fill them up again with certain crafting recipes. Get JEI for help. Hmm... similar to the Forestry specialisation bags I guess. Sorry if this has been asked but do you plan to update the mod for 1.12.1? I definitely want to try this mod out but switching between different versions of Minecraft gets a little confusing for me.